Lazy E Ranch offers the perfect program for a quick return to competition! 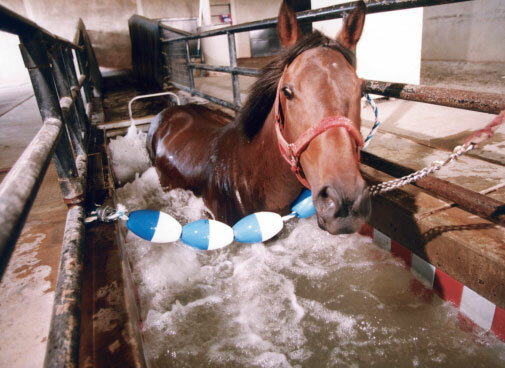 Post-surgical rehabilitation for all classes of horses - not just mares! Provides a less traumatic means of exercise as compared to conventional conditioning. Water buoyancy relieves the strain on the skeletal structure, minimizing the risk of re-injury. Proven cardiovascular and muscular enhancement and conditioning. Conditioning is conducted regardless of weather.